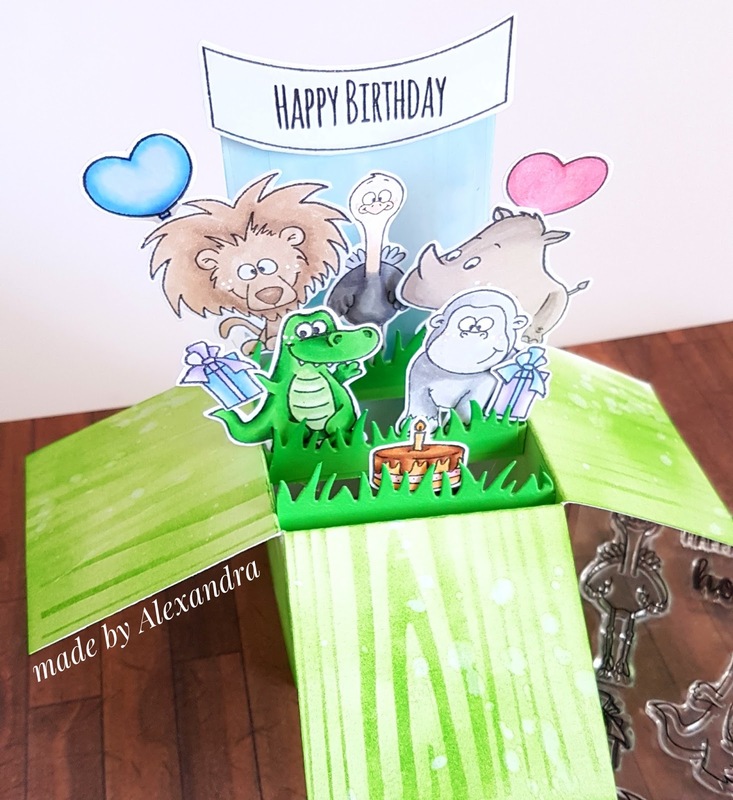 I always loved interactive cards, and this pop up box card is just perfect too add all the critters from the stamp set when you don't know which one too choose :) , but also can be intimidating to create one! 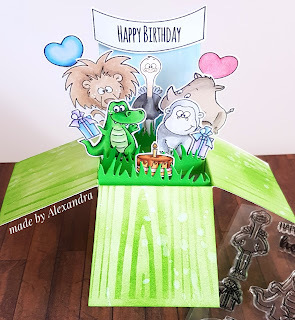 I remember that I saw lots of pop up boxes on Instagram but I felt like they are so hard to make . Then I scored every 6 cm ,12cm ,18 cm and finally 24 cm leaving 1 cm to be able to close the pop up box. The upper part where the scoring is I cut were the scoring lines are so when the box is open you are able to see the critters inside. Also I cut 3 stripes of paper 1 cm tall and 8 cm long to have were to put the critters inside the box. Next I colored the critters from Party animals stamp set using Spectrum Noir Alcohol Markers and also inked the entire box using Distress inks and to add a bit of details I used a stencil. The sentiment is from Alien invasion and the banner too . I adhered everything using strong tape and my card was done!